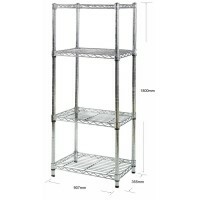 The tallest shelving currently offered at Chrome Shelving, the height of these chrome shelving units means that a huge amount of storage can be gained when installing a shelf of this size. A number can also be attached together to create a wall of shelving, which is perfect for businesses needing lots of storage, or looking to create an innovative yet affordable freestanding display. 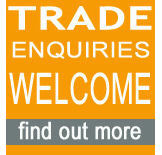 They can be used at home as well though, as perfect storage options for the bathroom, kitchen or garage. 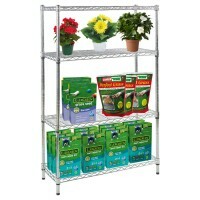 When we say “affordable”, that’s what we really mean, as one of these chrome shelving racks can be bought for just £55 + VAT, which is much cheaper than anywhere on the High Street. 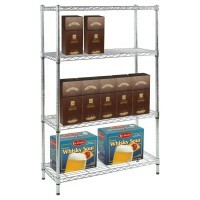 They are also incredibly easy to assemble, making them an almost instant solution to your storage needs. Extra shelves and other components can also be added quickly, making our 1800mm chrome shelving units incredibly adaptable to any situation. All shelving is available for next day delivery and come flat packed.